We welcome you from Monday to Saturday from 9:00 to 12:00 and from 14:00 to 19:00. Between Bricorama et Renault Garage. We also carry out computer troubleshooting at your home in the entire Pays de Gex region and 50 km around Gex. 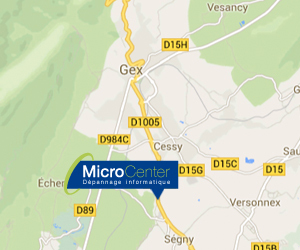 In addition, Micro-center is above all a guarantee of seriousness and quality, so do not wait!